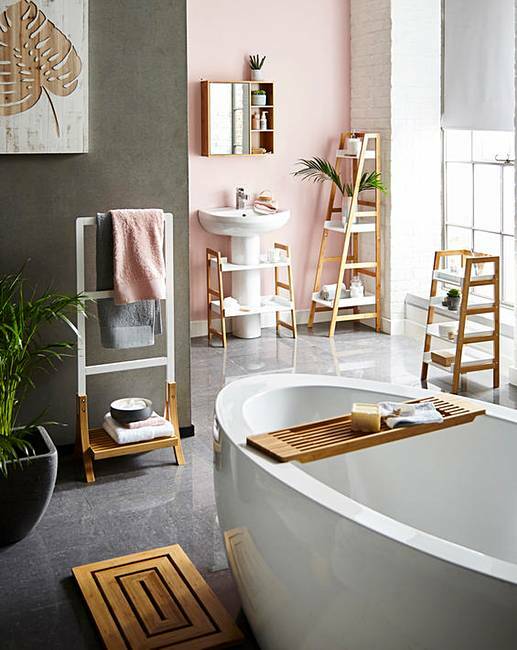 The Bamboo and White Aria bathroom furniture range is designed to add contemporary style to your bathroom while providing a range of clever storage solutions. 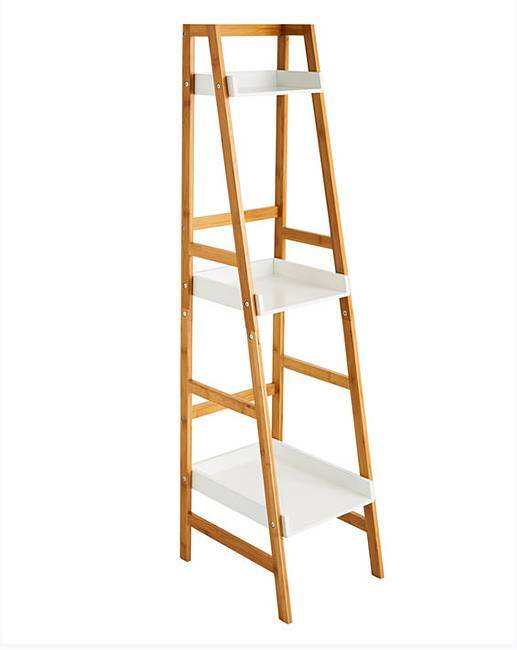 The Aria Ladder Shelf features 3 open shelves which are perfect for storing bathroom items within easy reach. The shelves are generously spread apart so you can store both small and tall items on the unit. Boasting modern design and functionality, this unit will make a stylish addition to your bathroom. Easy Build products have been specifically engineered with you in mind so that you can quickly and easily assemble them. H.134 x W.33 x D.39cm.